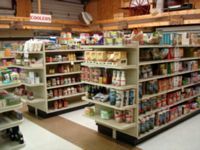 Your one stop shop for natural health, bulk, organic coffee, organic herbs, and organic foods. 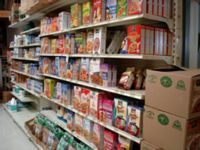 Cooler and freezer foods, cereals, rice and soy milk, goat's milk, baking products, natural sweeteners, canned foods, seasonings, cheese, yogurt, free range meats and eggs, frozen bread, frozen dinners, rice and soy ice cream, and much more. You'll have to come see our store! 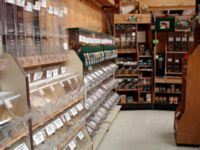 We have a large selection of bulk natural and organic foods, organic herbs and spices, organic coffee, and trail snack mixes. We weigh some bulk foods or you can get the amount you want. 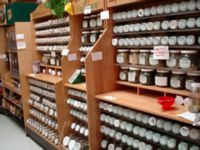 We carry a large selection of herbs and spices all organically grown from Frontier Herbs. Some unusual herbs too.